This is the second part in an on-scene series direct from the Lebanon election. It’s now 7 PM on this Saturday and the bars are closing; unheard of in this town known for its vibrant nightlife that routinely parties to 4 AM even on a Sunday. 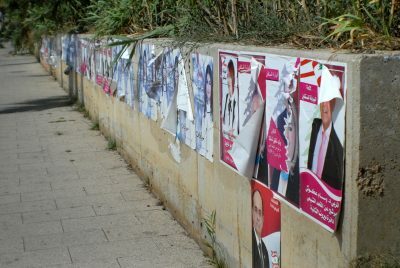 It has been nine years since this nation’s last election and the Lebanese government wants everyone sober enough tomorrow to make it to the voting booth. So, if you want a drink only a restaurant can legally serve alcohol; hopefully on a full stomach. In what appears to be a form of Gerrymandering, when the voters return home to vote, many travelling over a hundred miles to do so, they must vote from a set list of candidates specific to their region. This would appear to be a violation of the Lebanese constitution that allows for universal suffrage and will restrict these voters from voting for more favorable candidates within the party of their choice, but not on their ballot. Despite the excitement of tomorrows historic election, many are quite unhappy about this limited choice that certainly affects their decision at the ballot box. These separate ballots will be divided across the nation- similar to US congresspersons- by population. This means that Beirut, the largest city, has three different districts and three different ballots. The smaller cites have only one and in the rural areas of many small towns and villages, their ballots are apportioned to a set region. One hundred and twenty-eight candidates will be elected tomorrow- the entire parliament. This has never before happened and is just as unusual in other worldwide elections where the election cycle is split instead- as in the US- to every two, four or six years. This makes this election all the more important since, post-election, it is these same parliamentarians that will subsequently elect the new Prime Minister, the very powerful three-member Cabinet and the President. Hence the stakes for this election have never been higher and this election will see a wholesale and long-lasting change in influence. In an attempt to level the playing field for all candidates, all of them are currently under a national gag order that began this morning and will be enforced until the election is over and the results are in. None may, in this period, speak with any Radio, TV, Internet, or newspaper news source. Additionally, any manipulation by virtue of misleading advanced polling data has been restricted making the outcome an unknown to the voter and a further encouragement to get out and vote. Everyone interviewed, without exception, views the many Hizbullah candidates as the status quo that will prevail. The only question is the final tally of seats. Hizbullah’s growing power has been achieved in the past by it creating various coalition alliances such as the March 7 or March 14 coalitions of many years ago. So the question is not whether Hizbullah will retain power, but whether it may achieve an actual majority. While there are many other candidates in opposition to Hizbullah, they are aligned with either the Christian, Alawite, Sunni, Druze religious factions. These have previously failed to garner significant support since they have done very little, compared to Hizbullah, to bring real societal change to Lebanon. They also have repeatedly done nothing to defend their country in the three previous wars of incursion by Israel, while the people of Lebanon and Hizbullah have fought side-by-side. This memory applied at the ballot box to the horrors of war past and will have many voters discounting religious affiliations in favor of the national defence. These concerns have given current Minister of the Interior (which manages the police and domestic security), Mouhad Al Mashouk, perceived front-runner status for many who are looking beyond the Hizbullah offerings. Mashouk may have trouble with this since the Shia candidate, retired Colonel Ali Al Shaer is featuring his own defensive track record as a reason for votes. 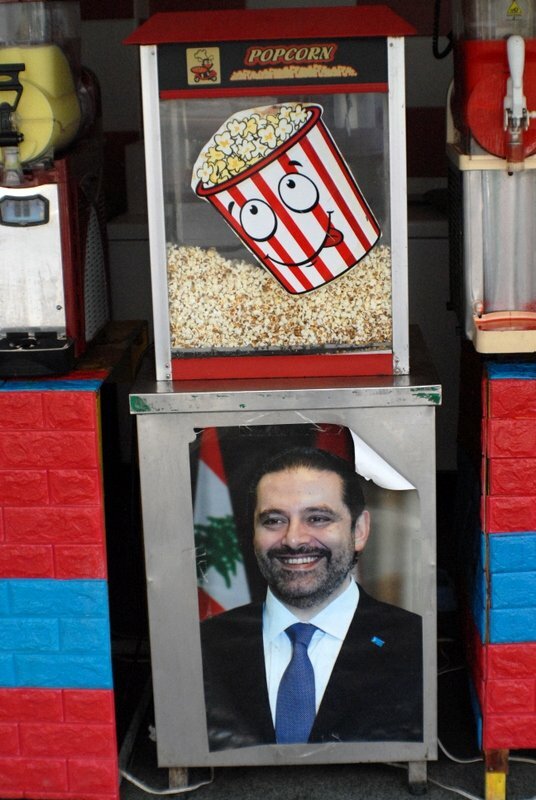 The image of Saad Hariri, son of venerated Rafik Hariri, is so prevalent by itself, and alongside those of the many candidates, that one would think he was running for election. His image and presence of support for these candidates are designed to hopefully bring him to power again via parliamentary vote. There is no doubt that he is riding the coattails of his father in a similar fashion to Justin Trudeau despite his brief resignation and defection to Saudi Arabia. This is not lost on the voters, but strangely many believe he has a chance since most have forgiven him for his treason. Western Desperation: Who is Buying All Those Opposition Votes? What does not bode well for a peaceful and long-lasting result of this election is that some of the opposition candidates are paying for votes. This reporter spoke with five different voters who all told the same story: The going price in South of Lebanon is $800 and the mortita for Beirut is as high as $2000…plus airfare!! One woman voter spoke of her anguished conversation with her parents who wanted her to change her vote and had admitted to her that they had been given $1000 each for their votes. Another bar patron informed this reporter that, due to the requirement of voting in the district of one’s birth, opposition candidates were going to be bused in from across Lebanon since Beirut is the plum of this election, having far the most seats to win. One bartender spoke with disgust about an opposition staff member visiting his bar- not an hour before- and offering he and other patrons $1000 per vote. Worse, yet another taxi driver spoke of his parents being contacted in Canada with an offer of airfare and $2000 per vote to come to Lebanon on Sunday. While this might seem outrageous and expensive, it shows the panic that the opposition is in regarding the likely outcome in favor of Hizbullah. These allegations were made all the more legitimate based on this reporters observations and conversations with arriving passengers from Brazil, which, interestingly, has a larger Lebanese population that Lebanon itself. On the inbound flight arriving to Beirut, a large contingent of twenty or more Brazilians was on the same flight. However, during a casual conversation, they revealed few things about their trip other than two key facts: They were staying only until just Monday morning… and had brought with them almost no luggage. This made little sense at the time; until the testimony of many in Beirut certified their true reason for an 11,000-mile, two-day vacation. Of further concern was how these paid for voters would be monitored in performing their deeds in the confines of a secret voting booth. With the Lebanese being known for corruption, all spoken with assumed there would be secret monitoring to be sure the opposition got what it paid for. These facts put together and many Lebanese are concerned about some sort of Maidan Square event taking place tomorrow. So is the army. Beirut has a strong military presence at all times, but in recent days, here in Beirut, that presence has more than doubled. This morning, this reporter witnessed a convoy of troop transport vehicles head into the city carrying over 150 uniformed soldiers. Every soldier is armed and everyone you encounter is cautious, unsmiling… and locked and loaded. Brett Redmayne-Titley has published over 150 in-depth articles over the past seven years for news agencies worldwide. Many have been translated. On-scene reporting from important current events has been an emphasis that has led to multi-part exposes on such topics as the Trans-Pacific Partnership negotiations, NATO summit, KXL Pipeline, Porter Ranch Methane blow-out and many more. He can be reached at: [email protected]. Prior articles can be viewed at his archive: www.watchingromeburn.uk. He is a frequent contributor to Global Research.